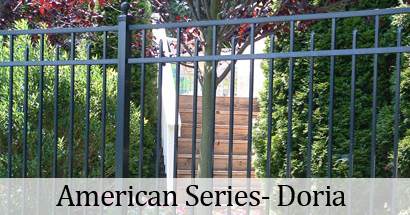 The Avalon style fence is designed to blend into the setting of any landscape. 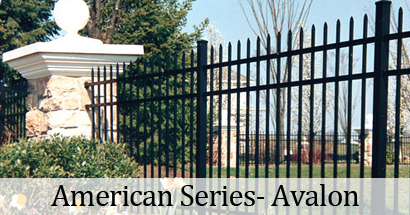 This traditional fence offers a splendid accent of pressed points across the top. Available heights: 48" and 60 "
With its classic smooth top rail and pressed points below, the Doria style is designed to meet the most demanding aesthetic needs. 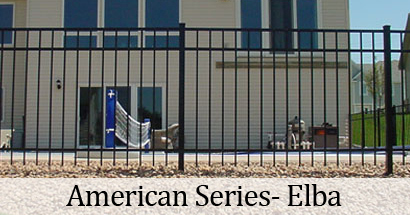 Available heights: 48", 54" and 60"
With its classic smooth top rail and clean lines, the Elba style is designed to add a touch of simplistic elegance to any property. 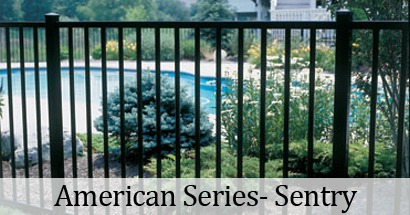 The elegance and simplicity of the Guardian Sentry fence provides a smooth top and bottom rail making this fence ideal for pool applications.